Do You Need A New Phone System For Your Business? superior service, professionalism, and integrity. We’ll spend the time and effort needed to identify your goals and tailor a solution specific to your wants and needs. We offer Premise Based, Cloud and Hybrid telecom solutions featuring VOIP or Digital handsets. Low Voltage Structured Cabling or Fiber Strand installation. Small to medium Data/IT solutions and management all custom tailored to fit your needs. We have partnered with leaders in the industry. 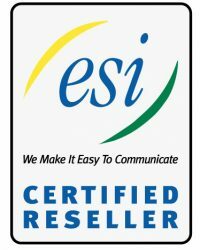 We are Certified Resellers for Avaya, ESI, and Nextiva and use nothing but the highest quality equipment for your installation. We are specialists in the design and installation of enterprise level phone systems. Our work inspires. We pride ourselves on delivering outstanding quality and design for leading clients in the surrounding areas.